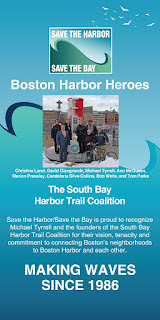 On Saturday over 600 people from all across the region joined Save the Harbor/Save the Bay on Marine Mammal Safaris. These free inner harbor cruises have been hosted by Save the Harbor for over 15 years and this year's cruises were the best ones yet. Spring finally started to poke its head out and the sunny day made for excellent seal spotting conditions. 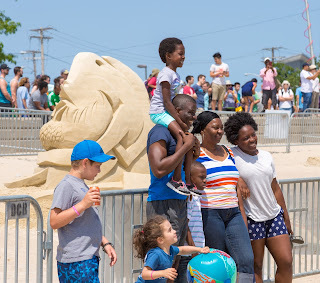 From veteran bird watchers to families taking their first boat ride ever, the boats were packed with guests eager to see what nature had in store for them in the harbor. 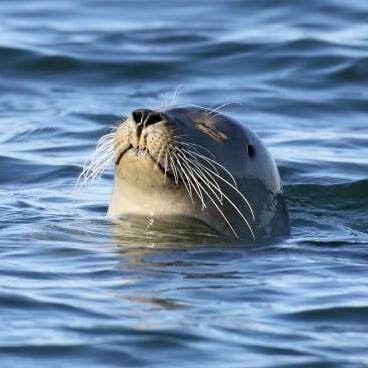 While the first cruise of the day spotted a positive dearth of seals, plenty of shore birds -- including several varieties of cormorants -- were active in the sun, and a harbor porpoise cruised by as we motored through the inner harbor. After sleeping in all morning, the seals were up and ready to splash for the second and third cruises of the day. One even swam alongside the boat for bit so all the guests could say hello! 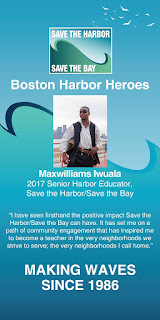 In addition to bringing visitors out for an up close visit with the harbor wildlife, Save the Harbor was also pleased to share the harbor with cruisers through stories of young sailors and mariners from diverse backgrounds during the Age of Sail, and the many opportunities available to young people on the harbor today. And of course no cruise would be complete without everyone joining in on a rousing rendition of our traditional sea chantey, "Haul Away Joe", about the Boston Harbor clean up that made it the cleanest Harbor in America. "Way haul away, we'll haul away together!" Save the Harbor/Save the Bay wishes to thank Mass Bay Lines, and our foundation funders for supporting another great round of Marine Mammal Safaris. These are just the first of Save the Harbor's free "Share the Harbor" cruises of 2018. 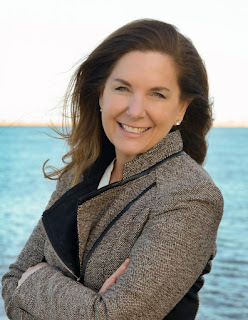 In addition to their traditional programming for youth, Save the Harbor will also host two free cruises each month in June, July, and August, including a trip to Boston Light the site of the oldest lighthouse in America. They will also offer two free Treasures of Spectacle Island trips in the fall. From pirates to politics and daring seafarers to delightful sea chanties, these cruises will tell the story of Boston Harbor in a whole new way. Follow our blog, or follow us on Facebook or Twitter to stay up to date on future cruises! See you all out on the water! 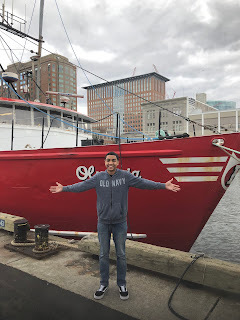 On Friday, April 20, Save the Harbor/Save the Bay's staff, interns, and junior program assistants (JPAs) brought the wonders of Boston Harbor to the Boston Children's Museum! With the help of Tony the Pirate, Francesca the lobster, and Ronaldo the rock crab, we were able to successfully share the harbor with over 200 visitors. Up close and personal with Boston Harbor! Explorers started off the day listening to Tony the Pirate's stories of the ocean blue. He told the families about "Little Eyes" the magical crab, who could detach his eye stalks and send them out into the ocean to see all sorts of marine animals. He captivated the kids with the chant "Little eyes, little eyes, sail out into the deep blue sea!" Save the Harbor programming also included a touch tank, which featured Francesca, the American lobster, and Ronaldo, the rock crab. A second touch tank was full of green crabs trapped off Atlantic Wharf's pier. The kids were delighted to touch and hold these critters, and learned how to tell female and male crabs and lobsters apart, how lobsters communicate with each other (spoiler: they pee on each other to communicate! ), and what these animals use their claws for. Kids even learned about the green crab's status as an invasive species: one that isn't native to the harbor, but is quickly populating the waters and harming its balance. Vice President of Operations, Chris Mancini, told kids "one of the best ways to help deal with invasive species is to eat invasive species!" The kids learned many other ways to prevent the spread of invasive species while conserving native species. The day went swimmingly, and many visitors left with the harbor in their hearts. We even had a special visit from Alice from Wonderland and the Queen of Hearts who fell in love with our touch tank critters as well! More like Alice in Lobsterland. A very big thank you to our friends at the Boston Children's Museum for helping us continue the tradition of excellent summer programming. Thanks also to James Hook & Co. for lending us Francesca and Ronaldo for the morning! On Thursday, April 19, Atlantic Wharf and Boston Properties once again hosted Save the Harbor/Save the Bay's Boston Harbor Explorers' program for April Vacation Week Programming. Save the Harbor staff, interns, and junior program assistants (JPAs) were joined by around 40 kids from East Boston YMCA for another wonderful morning of games, art projects, fish printing, and a touch tank! To start off the morning right, Save the Harbor and the East Boston YMCA kids sang the "Haul Away Joe" sea chantey. The chantey reminds us that when we all pull in the same direction, we can get almost anything done! Then, the kids broke off into groups to learn more about the harborside, and each group took turns at different Boston Harbor- themed stations. The first station was fish printing, where the East Boston YMCA kids channeled their inner artist by making Gyotaku fish prints with real scup and mackerel and an artificial flounder. At the touch tank, kids had a chance to meet Lawrence the Lobster and Rocky the Rock Crab. They were fascinated to learn about why lobsters have two different sized claws, and where crabs hold their eggs. The kids also learned about crustaceans’ diets and their role in Boston Harbor’s ecosystem. Next the group had the opportunity to partake in Save the Harbor's new Mosaic project to learn about sustainable fishing. Save the Harbor taught the kids that sometimes when we use unsustainable fishing methods to catch fish, such as dragging a huge net through the water, we can accidentally catch animals we don't mean to and hurt the environment. Each kid colored different types of marine life native to Boston Harbor like lobsters and flounder, and then hung up their colored drawings in a big net to represent how bycatch can damage the marine life right next door. 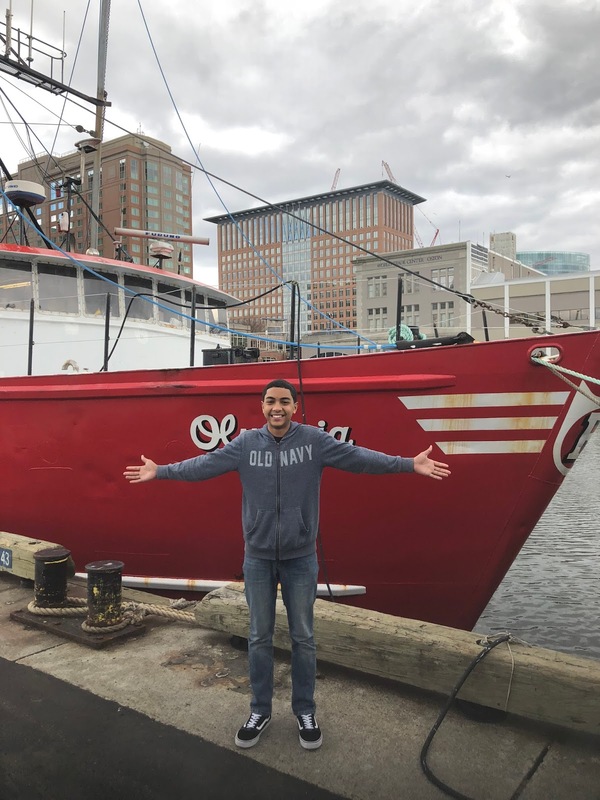 This ongoing project not only brings Boston kids closer to sustainable seafood and fishing methods, but also beautifies the space at Atlantic Wharf! The kids had a blast at the last station, playing games like "What you can't see under the sea" and "A big Wind Blows". Kids acted like an animal under the sea, and created their very own ecosystem! What animals were these kids acting as...? And of course the day wouldn't be complete without the delicious lunch from Boloco, courtesy of Atlantic Wharf. 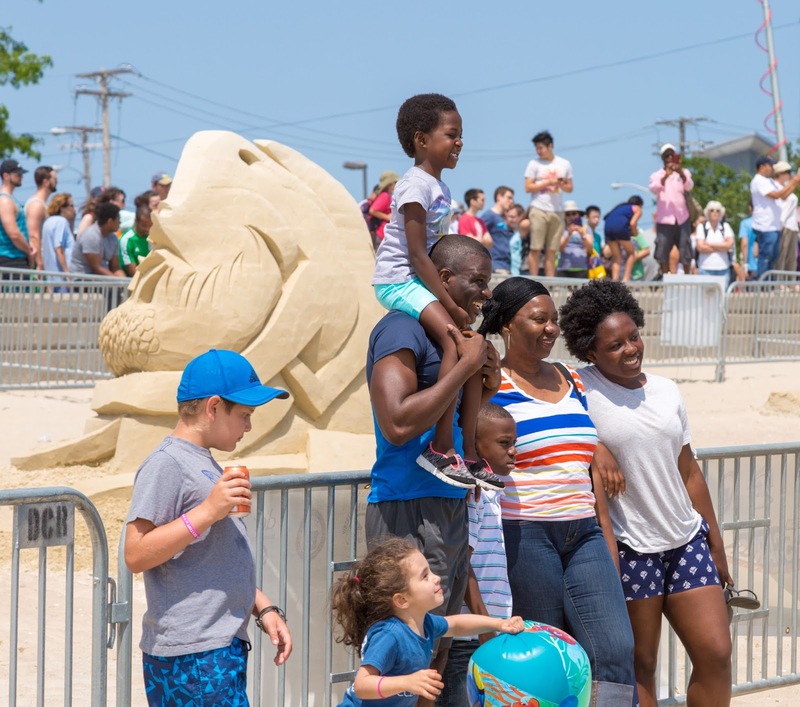 Save the Harbor/Save the Bay is grateful for our amazing partners at Atlantic Wharf for continuing our tradition of excellent vacation and summer programming at their outstanding location on the Fort Point Channel. Thanks also to James Hook & Co. for lending us Lawrence and Rocky for the morning! Today we had kids from East Boston YMCA. They were really ecstatic when they entered the door. One kid asked me if I liked turtles and I answered yes. They seemed to know a lot about the program so there wasn't much need to explain who we are. I was assigned to fish printing. It was really fun even though it was my first time helping fish printing. Even though there wasn't any fishing we were still able to keep the children entertained. Tons of kids wanted the same colors but we had enough for all. For my first time doing fish printing, I was told that I did a good job by Jules because he said that I did everything the right way and exactly how I was told. I gave the right directions to the kids and I made sure that the kids knew what to do too. There was a lot of fish printing done for all of the kids. The staff were able to have some kids have a story time and a game time to keep them rotating through activity stations and happy. Sure there were a lot of kids but, we were still able to keep them in a line and in order. They behaved well and we were organized so it was a good day. 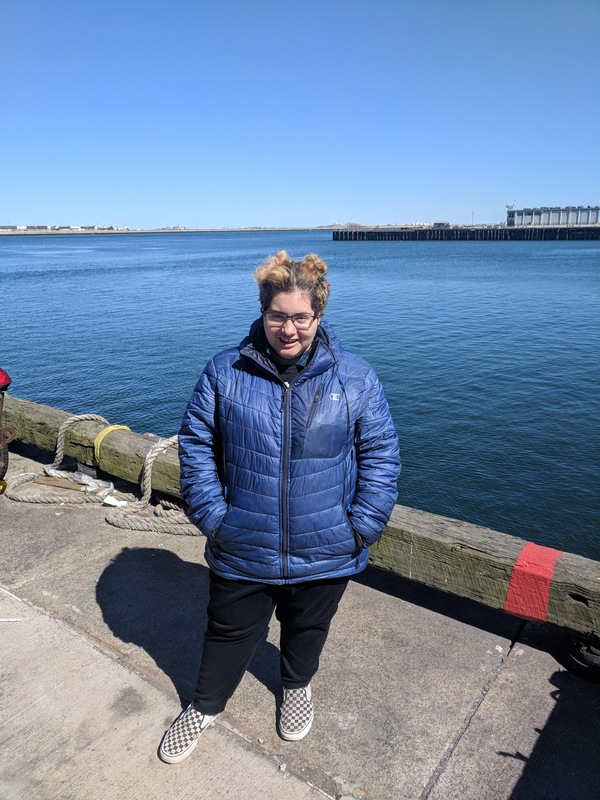 On Wednesday, April 18, Atlantic Wharf and Boston Properties hosted Save the Harbor/Save the Bay's Boston Harbor Explorers' program for April Vacation Week Programming. Save the Harbor staff, interns, and junior program assistants were joined by 17 kids from Dorchester YMCA for a morning of sea chanteys, art projects, fishing and of course an up-close encounter with Scooter the Lobster at the touch tank! The kids broke off into groups to learn more about the harborside, and each group took turns at different Boston Harbor- themed stations. The first station was fish printing, where the Dorchester YMCA kids channeled their inner artist by making Gyotaku fish prints with scup and mackerel. At the touch tank, kids had a chance to meet Scooter the Lobster and Fiona the Rock Crab. They were fascinated to learn about exoskeletons and how to determine if a lobster is a female or a male. The kids also learned about crustaceans’ diets and their role in Boston Harbor’s ecosystem. Next the groups had the opportunity to color different types of marine life like lobsters and flounder. They taped their creations to a fishing net hung on the wall, making a beautiful mural for everyone to enjoy. The kids had a blast at the last station, learning how to fish and set crab traps in the harbor. By the end of the morning, the groups were baiting, casting, and reeling like professional fishermen! Everyone enjoyed learning the famous "Haul Away Joe" sea chantey. 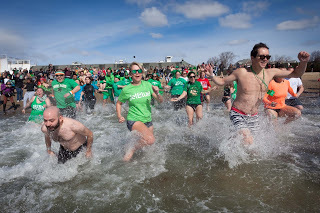 After the stations, everyone gathered to learn and sing the official Save the Harbor sea chantey, "Haul Away Joe", a reminder that that when we all pull in the same direction we can get almost anything done, whether it’s raising the sail of a tall ship or cleaning up Boston Harbor. A great photo to commemorate a day of learning and having fun! And of course the day wouldn't be complete without the delicious lunch from Boloco, courtesy of Atlantic Wharf! 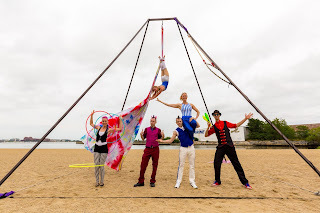 Save the Harbor/Save the Bay is grateful for our amazing partners at Atlantic Wharf for continuing our great tradition of excellent vacation and summer programming at their outstanding location on the Fort Point Channel. Thanks also to James Hook & Co. for lending us Scooter and Fiona for the morning! Today was a good day. We had children from the Dorchester YMCA come and experience some activities that include fishing, crab catching, and touching lobsters and a crab. The children were so excited when they got there. There were some kids that really wanted to catch fish and possibly a shark. Even though we couldn't have caught a shark, a lot of the staff were helping them stay positive and patient. Even though we didn't catch any fish, everyone was happy and engaged in the process. It was also my first time fishing so I tried to learn as much as possible from Jules. From what he told me, I was able to show and teach the children how to hold the rod, lock the string, and make the bait. During Lunch all of the staff interacted with the children and had a good time talking about sharks, fishing, and lobsters. Every one of the kids were happy to have spent time with us and do the activities that we had planned. As my first time doing a program like this, I learned a lot and I had the chance to teach what I had learned as a way to pass on the ways of nature and how to fish. -This is me teaching the children how to hold the rod and how to make the fish take the bait. I am Eric. I am a 9th grader at the John D. O'Bryant School. I love to explore and learn about the outside world. I also love to keep children interested in learning and exploring new things. Especially about the world we live in because if we learn about our world, then we will know how to keep it safe and not wasteful. 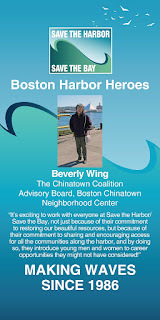 I am here this week to learn about what Save the Harbor/Save the Bay is all about. 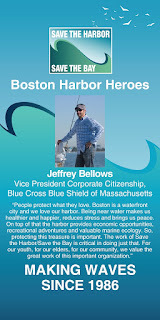 I am also here to learn about what I can do to help the community learn and have fun in the harbors and beaches. Having fun at your surroundings is the best thing that can happen to you. 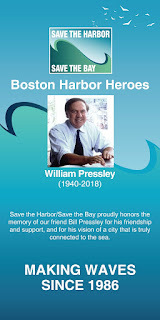 I am looking forward to learning about how I can help and provide to the community with a clean harbor, bay, and ocean life. I also plan on learning how Save the Harbor/Save the Bay can change the lives of children and make them enthusiastic in learning and protecting Boston's Harbors. 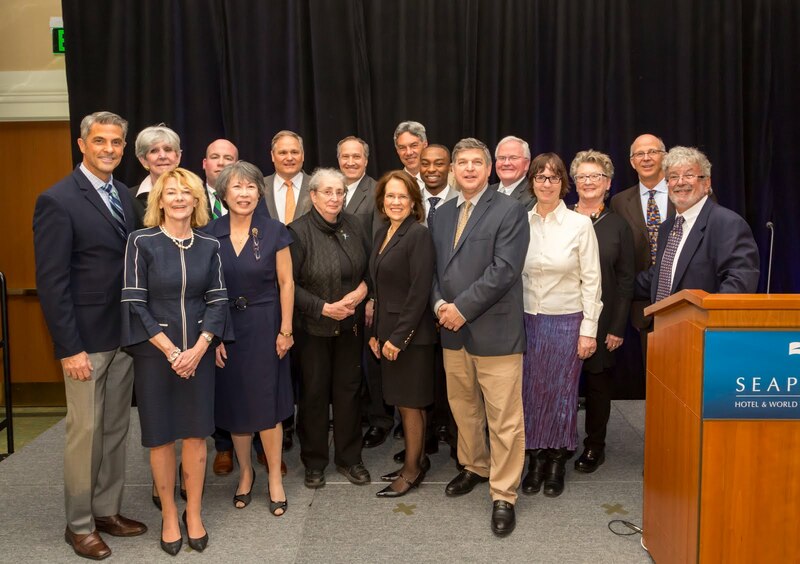 On Thursday, March 29, 400 corporate and civic leaders, elected officials, and community partners gathered at the Seaport Hotel to celebrate and honor this year's Boston Harbor Heroes at the annual Destination Boston Harbor gala. Each year, Save the Harbor recognizes men and women as Boston Harbor Heroes for their commitment to STH's mission, the community, and the harbor. Save the Harbor's Board Chair and National Grid’s Vice President of Government Affairs for Massachusetts, Joseph Newman, thanked the guests and introduced this year’s heroes. 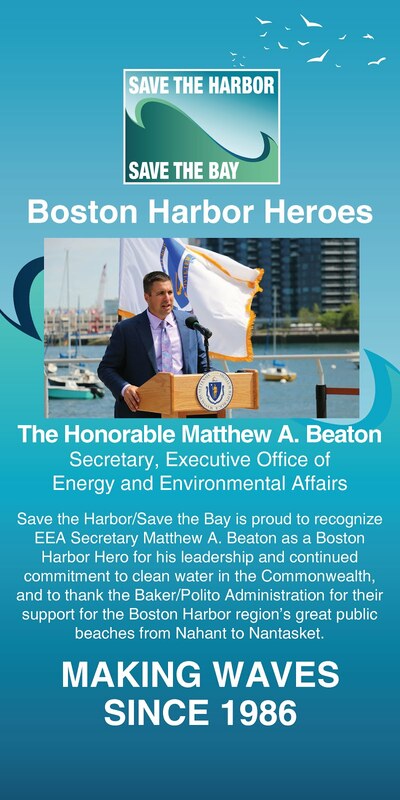 Save the Harbor/Save the Bay is proud to recognize EEA Secretary Matthew A. Beaton as a Boston Harbor Hero for his leadership and continued commitment to clean water in the Commonwealth, and to thank the Baker/Polito Administration for their support for the Boston Harbor region’s great public beaches from Nahant to Nantasket. Save the Harbor/Save the Bay is proud to recognize Jeff Bellows as a Boston Harbor Hero for understanding the importance of Boston Harbor, the harbor islands and our public beaches to the health of our communities and our young people. 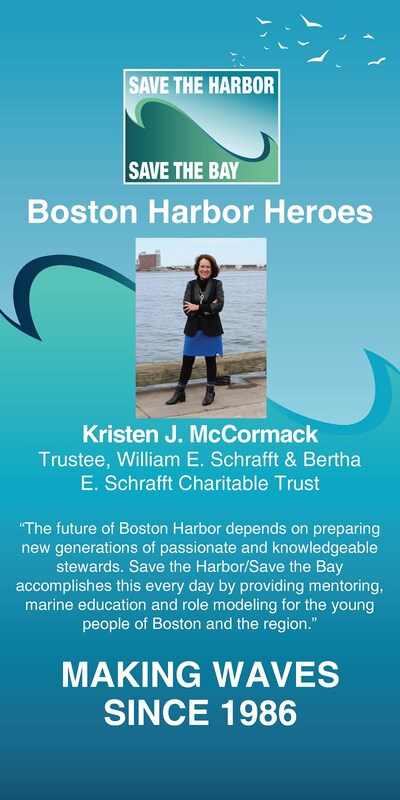 Save the Harbor/Save the Bay is proud to recognize Kristen McCormack for her work to create the next generation of environmental stewards and non-profit leaders. Save the Harbor/Save the Bay is proud to recognize Maxwilliams Iwuala for the important role he has played in strengthening our Youth Environmental Education Programs and serving as a role model and mentor to the teens we employ. 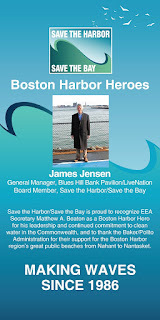 Save the Harbor/Save the Bay is proud to recognize Jim Jensen for his pioneering work to make Boston Harbor a destination and for making the Blue Hills Bank Pavilion a welcoming home for our All Access Boston Harbor Program. 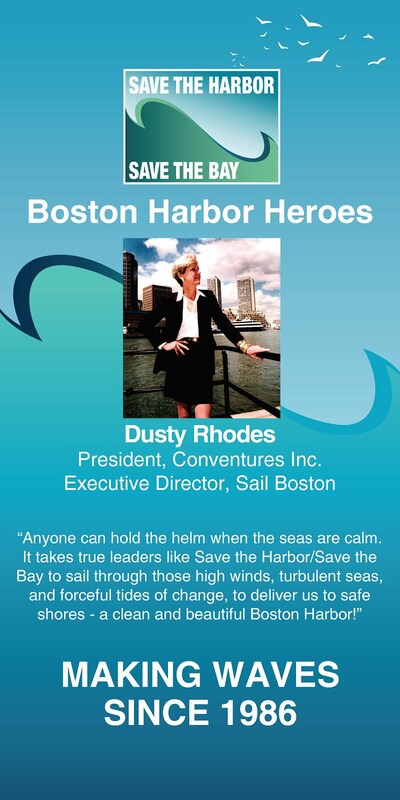 Save the Harbor/Save the Bay is proud to recognize the extraordinary Dusty Rhodes for her passion, vision and tireless efforts to connect both residents and visitor to Boston Harbor and our extraordinary maritime history. Save the Harbor/Save the Bay is proud to recognize Michael Tyrrell and the founders of the South Bay Harbor Trail Coalition for their vision, tenacity and commitment to connecting Boston’s neighborhoods to Boston Harbor and each other. 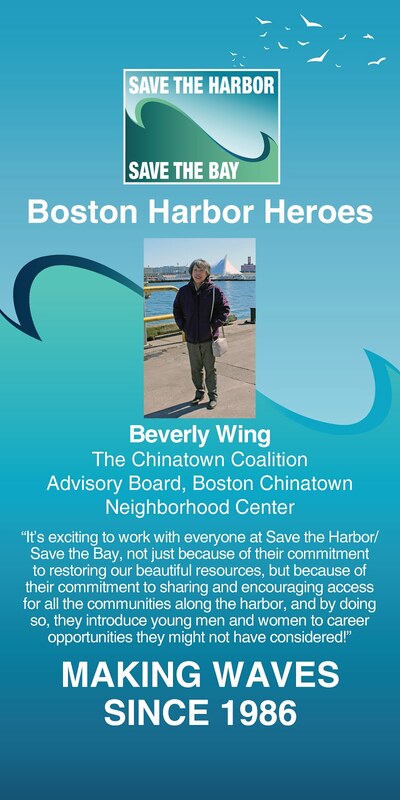 Save the Harbor/Save the Bay is proud to recognize Beverly Wing for commitment to our community, and for her help in connecting young people to all Boston Harbor has to offer. Save the Harbor/Save the Bay proudly honors the memory of our friend Bill Pressley for his friendship and support, and for his vision of a city that is truly connected to the sea. 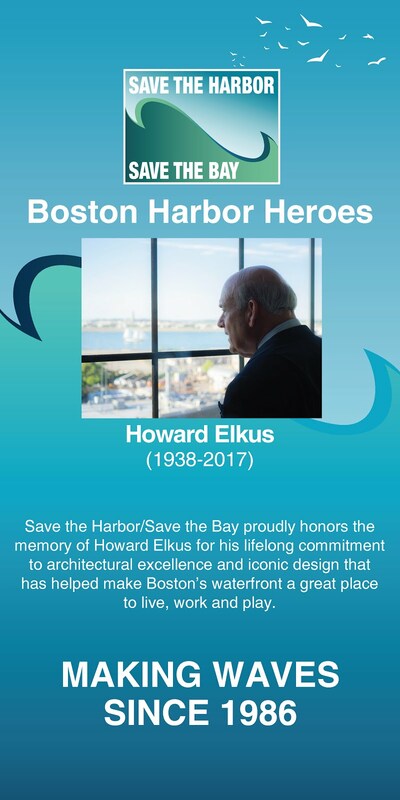 Save the Harbor/Save the Bay proudly honors the memory of Howard Elkus FAIA, RIBA, LEED AP, Founding Principal, Elkus Manfredi Architects for his lifelong commitment to architectural excellence and iconic design that has helped make Boston’s waterfront a great place to live, work and play. In addition to the ten Boston Harbor Heroes, Save the Habor also recognized the MWRA's Chief Operating Officer, Michael J. Hornbrook, for his outstanding service to the MWRA and our community. For more information about Save the Harbor/Save the Bay and the work they do, please visit their website at www.savetheharbor.org, their blog "Sea, Sand & Sky" at blog.savetheharbor.org, or follow savetheharbor on Facebook, Twitter, and Instagram.